I couldn’t wait to leave. As July was advancing, Brussels was becoming as usual a ghost city – abandoned and empty. This was about to reach its peak in August despite the Brussels Summer Festival and all the other activities planned to make the city less lonely and sad. Fortunately I was not going to be here. On the day before my departure, all ready and packed, a pre-nostalgic wave hit me as I was walking in my neighbourhood. Five weeks away from my Brussels life. Time for home if only I knew where these days home was. 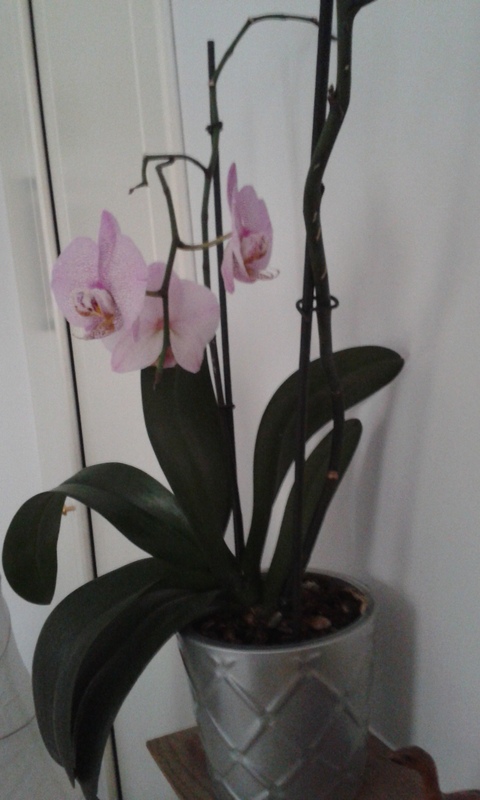 On the top of it, my orchid had just started blossoming after long months of preparation. Now I was going to miss its beauty period. At least, luckily, a friend kindly agreed to come watering my three flowers so they and my flat were still going to enjoy some presence. This was a reassuring thought. Next morning a taxi took me to Midi. And then I was fully immersed into being in Bulgaria. Day after day, week after week Brussels felt more and more remote. As if it didn’t exist on my personal map. As if my life here was something I had made up. It seemed tempting, this life, like a nicely decorated box of chocolates. However, which, once opened, turns out to be empty. What a deception. I stared at the Black Sea, whose polluted waters managed to keep me away during my whole stay, from a beach bar, and wasn’t sure what I was going back to. If only I could keep a capsulated substance of a Burgas summer evening with me in it having a slow cocktail and writing…a little bit longer. But time is merciless to the summer evenings. Before I knew another taxi was leaving me in front of my Brussels home. My flat looked as if I had walked away the day before with all my bills and a couple of welcome gifts from friends carefully ordered on the table. My orchid was still beautifully blossoming and the other two flowers seemed in a pretty good shape. I was walking again in my neighbourhood whose lively and cheerful atmosphere had returned from its holidays too. And once again I caught myself in a quite marvel: I actually live here. How unbelievable it is. How exhilaratingly real it is. A few hours later I was in the gym and then catching up with a friend surrounded by the international crowd, now refreshed from the summer, at Place Lux. I had opened the luxurious box and all the chocolates were there, each different and all delicious…made by my private Brussels and me. Previous post ← WOMAN. The Feminist Avant-Garde of the 1970s. Francesca Woodman.